Mazak has announced the addition of a high capacity auto work changer to its VARIAXIS i-300 simultaneous five axis vertical machining centre. 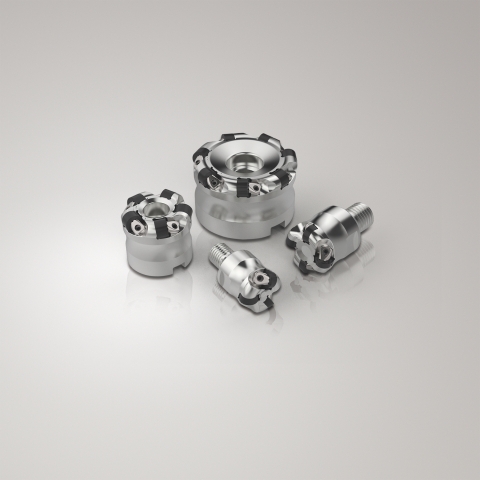 The new TC120, TC121 and TC122 Supreme blind hole taps from Walter have been specially developed for machining steel. 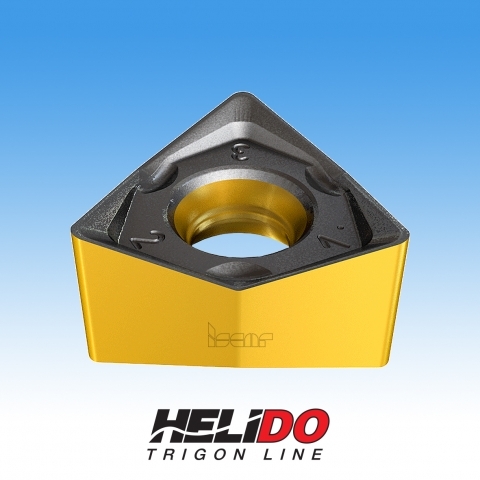 The quest to reduce levels of power consumption in the global metal cutting sector is not a new trend; today it has become an essential technical requirement. The new DockLock Airline system from Kurt is a high-precision system which can reduce setup time by over 90% thanks to rapid change-out of large and small machine fixtures. New captive locating screws and captive jig pins from Carr Lane are quick-acting, all-in-one assemblies to keep all tooling right at hand. 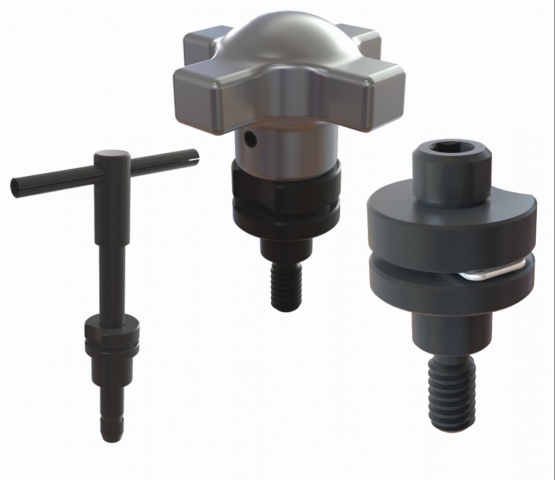 Seco Tools has introduced a new line of solid-carbide cutters specifically for medical knee implants. 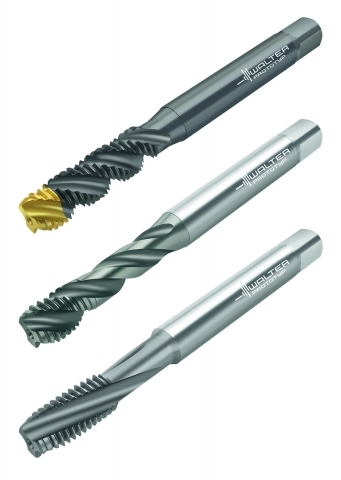 The TC120, TC121 and TC122 Supreme new blind hole taps have been introduced by Walter. 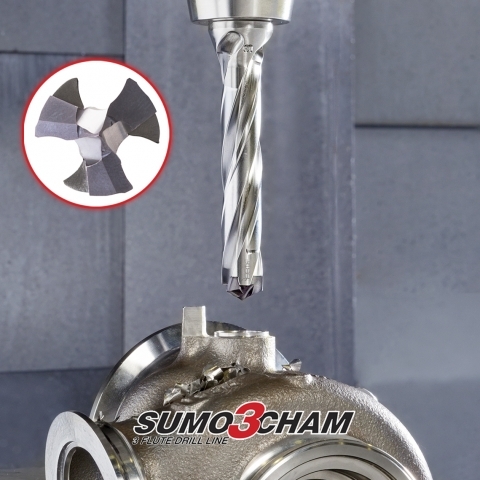 Iscar recently unveiled the new SUMO3CHAN advanced three flute indexable drill. 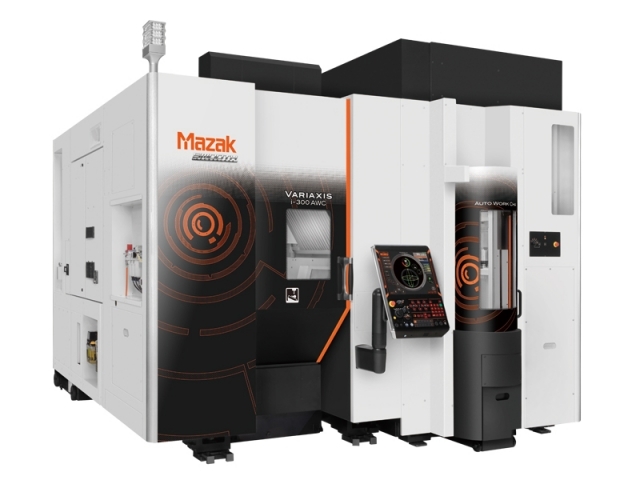 The VARIAXIS i-300 simultaneous five-axis vertical machining center from Mazak has received a boost in flexibility and efficiency with the addition of the VARIAXIS i-300 high-capacity auto work changer. 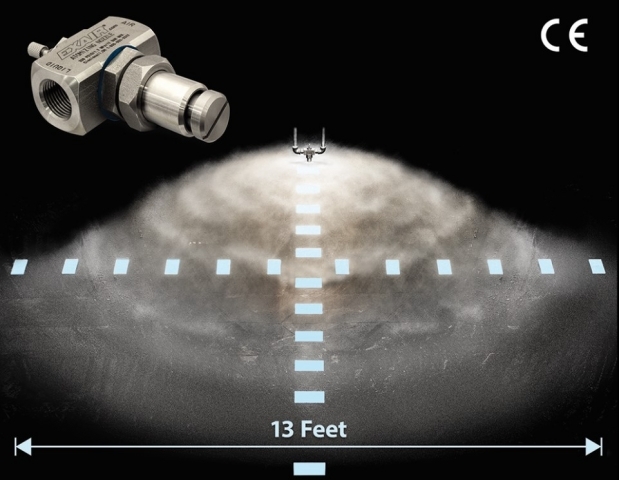 Heule Tool Corp. has launched its COFA-X tooling, what the company describes as the first tooling system for removing burrs consistently from interior uneven bore edges with large intersections, such as valves, fittings, hydraulic manifolds, and more. The new 1/2 NPT internal mix 360 degree hollow circular pattern atomizing spray nozzle from EXAIR atomizes fluid and sprays away from the nozzle in all directions, up to 13 feet in diameter. 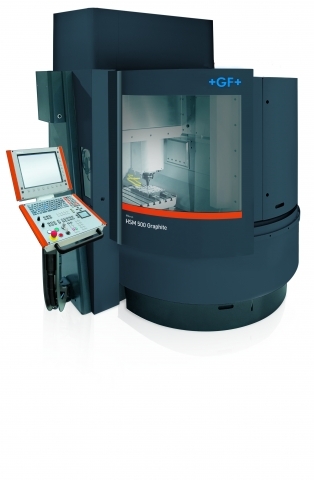 GF Machining Solutions has unveiled the new Mikron HSM 500 Graphite high-speed mill. 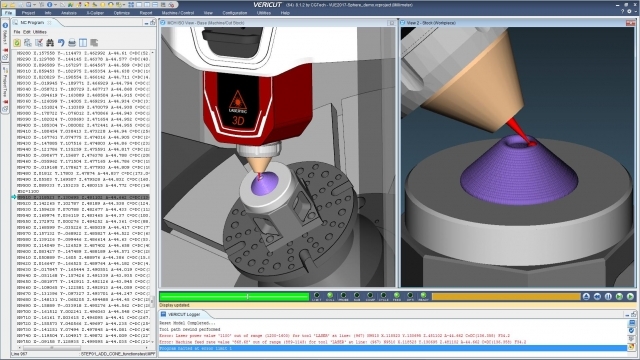 Renishaw has developed smartphone apps for users of the company’s machine tool probing hardware. 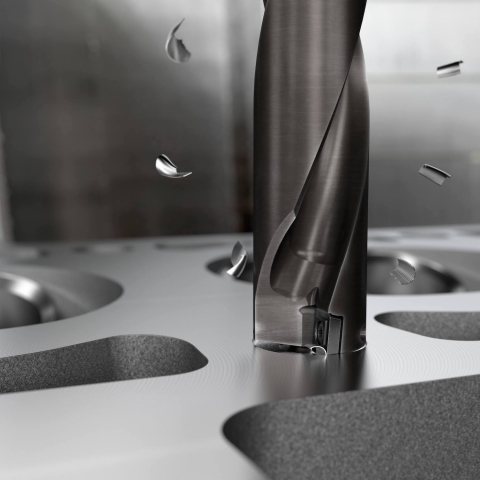 Sandvik Coromant has unveiled the new CoroDrill 880 CVD diamond-coated insert grades GCN124 and GCN134. 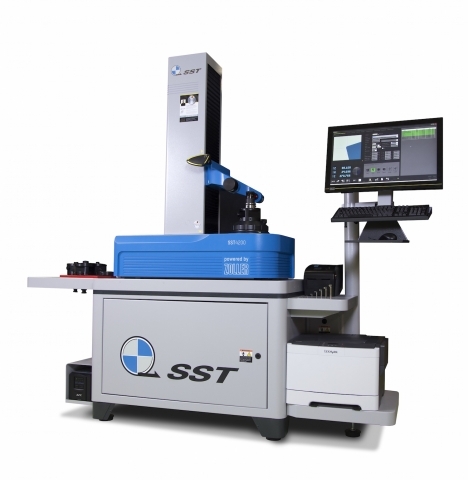 SST has introduced the SST 4200 tool presetter for high-precision part manufacturing. 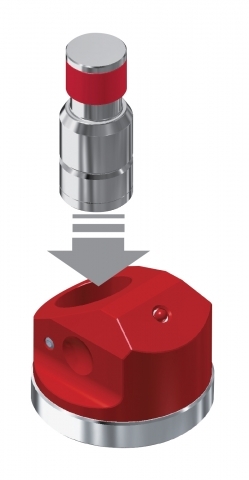 High-precision metalworking tooling manufacturer BIG KAISER has introduced the Base Master Red, a high-precision touch sensor that rapidly determines workpiece offsets and tool lengths, and the Base Master Mini, a thin, compact tool offset sensor. CGTech is now shipping version 8.1.2 of its VERICUT CNC machine simulation, verification and optimization software. 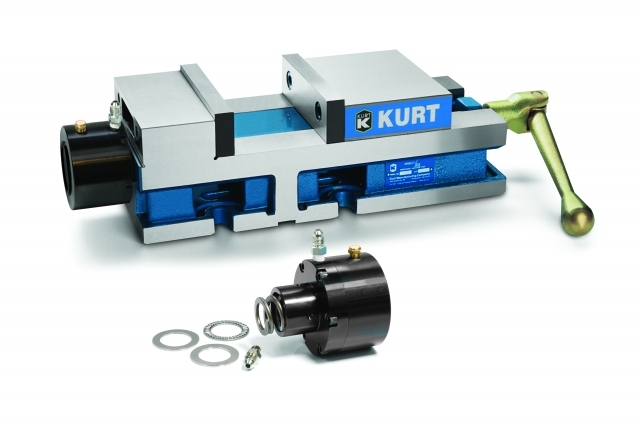 The new KHU6 Hydraulic vise unit from Kurt Workholding comes with both single- and double-acting capabilities, providing convenient adaptation to the user’s preferred clamping method. 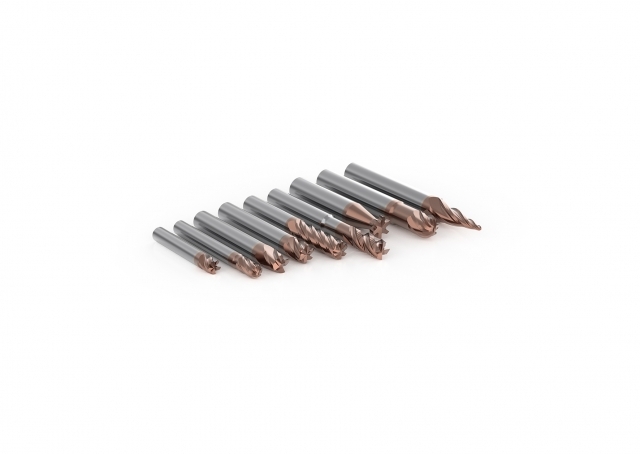 Seco Tools now offers SecomaxCS300 ceramic inserts and cutter bodies to boost productivity in milling and turning operations with heavy interrupted cuts on nickel-based heat-resistant superalloys (HRSA). 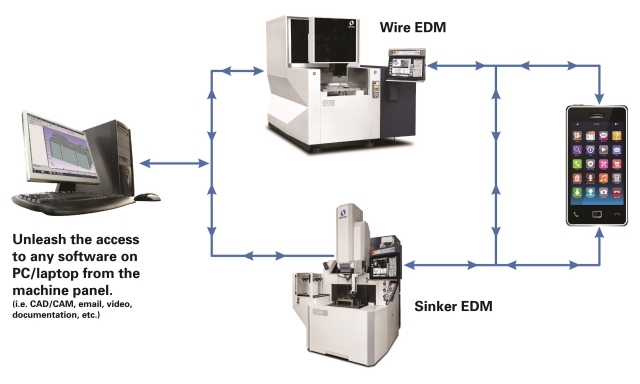 The newly released HyperConnect machine networking application from Makino facilitates machine-to-machine and machine-to-PC virtual connectivity for improved efficiencies.